Sew Cute: Happy National Coffee Day! Happy national coffee day! A holiday like this calls for a roundup of some adorable mugs. 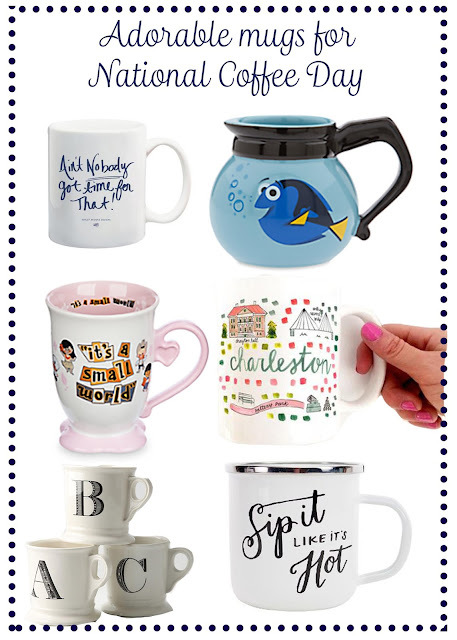 From Disney to fun sayings or an initial all these mugs are perfect for a warm cup of coffee or hot chocolate this fall. My favorite mug is from Disney World! Where is your favorite mug from? Let me know in the comments! Suuuuuper cute mugs!!! I am s in love with that Dory one! !